Let’s Celebrate Eat With Your Family Day! 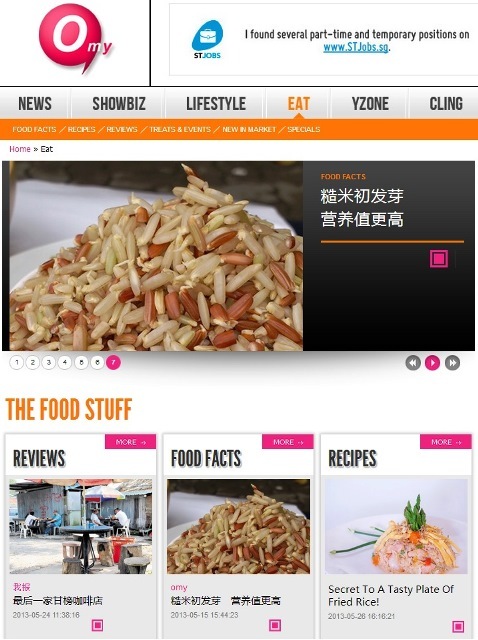 You are here:Home » Recipes » Let’s Celebrate Eat With Your Family Day! Do you know that “Eat with Your Family Day” for this year falls on Friday, 31 May 2013? Yap, that’s next Friday! Since its inception in 2003, more companies & schools have pledged their support for this event that gives Singaporeans a timely reminder of the importance of bonding & communicating with the family. Featured @ #PetitChef as 'Main Dish of the Day'! To encourage staff to spend time with their family, participating companies are releasing them by 5pm on 31st May 2013 to have dinner with their family. This event is to encourage all Singaporeans to consciously set aside time on that day to be with their families. 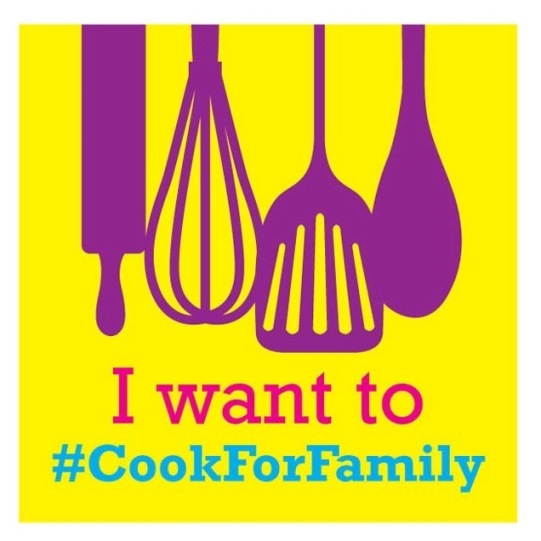 To have more people cooking for their families, CookForFamily has organized a week long event, starting 24 May (Friday) & ending on #EatWithFamilyDay on 31 May (Friday). 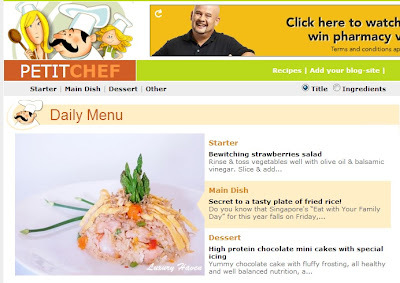 Sometime last year, I’d been invited to participate in Singapore Bloggers Unite To #CookForFamily! This year, I’m really pleased to be part of this event again. 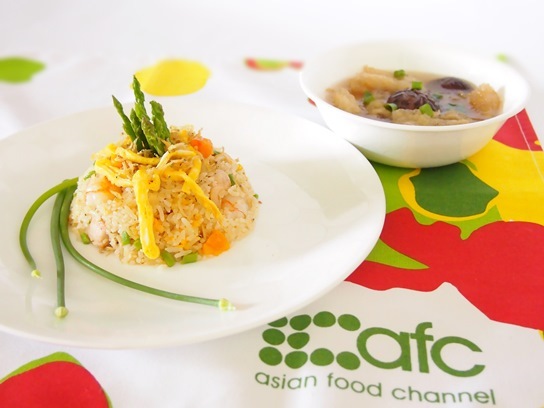 The secret to Fragrant Hainanese Chicken Fried Rice is out! 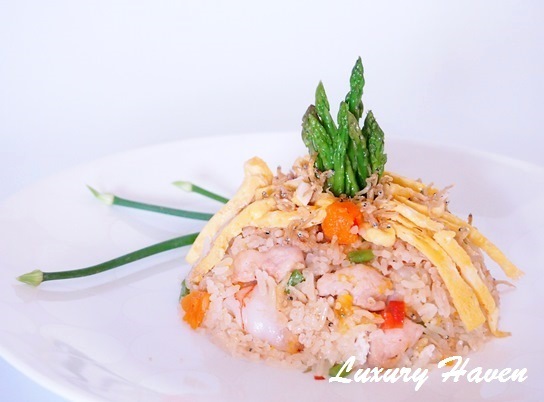 Friends who have tried my fried rice have always asked me what the special ingredient is that makes my #friedrice tastes sooooo good. I’m gonna let the cat out of the bag today to encourage more people to cook for their families. Like many Singaporeans, my family adores the #HainaneseChickenRice. I’ve a Loy Kee outlet just 5 mins walk from my home. Whenever my hubby takes out their chicken rice, I would ask him to buy 2 more extra packets of chicken rice, just the rice without the chicken. 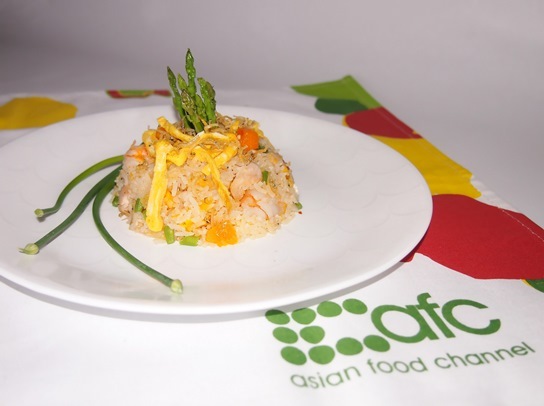 Now, this is the secret to a tasty plate of fried rice! 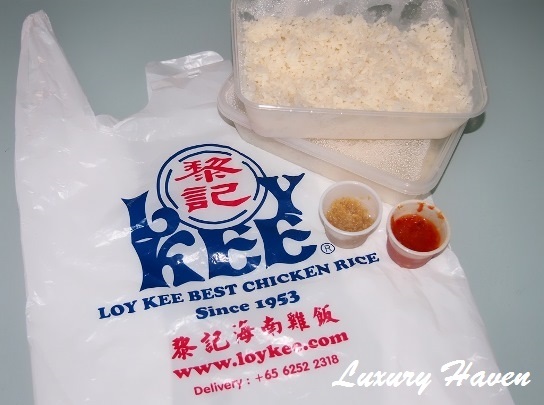 It’s really simple to prepare, & you don’t even need to add any seasonings to the fried rice except for their grated ginger & chilli which come with the #LoyKee chicken rice. Add in any ingredients you like; I normally grab whatever I can find in the fridge & throw them in. 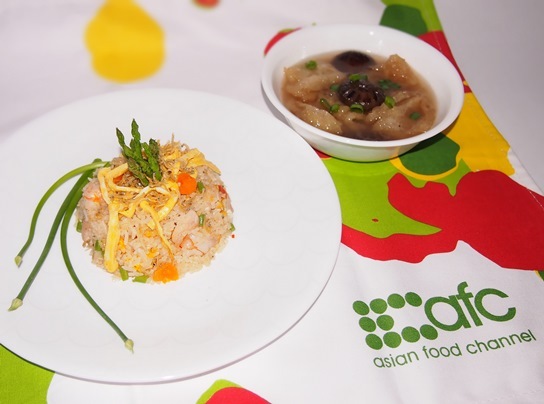 Most importantly, you’ve to leave the rice overnite in the fridge as long as you’re using it to make fried rice so that your rice will turn out nicely. This time round, I’ve added prawns besides other ingredients. 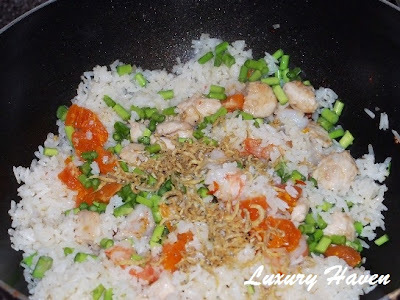 Some people may find using large prawns & dicing them to make fried rice is such a waste. 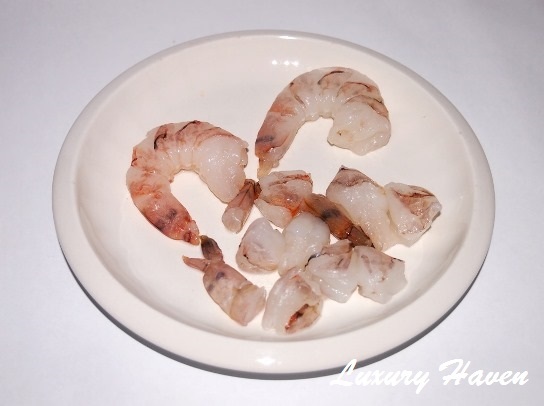 But think of the thickness & the crunch that you’ll be getting from these jumbo prawns when you bite into them; you can never get this kind of texture with small prawns. To complement my one-dish meal, I’ve also cooked my family’s fave Fish Maw Soup with Mushrooms. Come, let’s get to work! 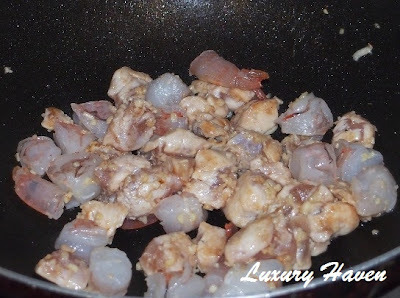 Rinse & dice peeled prawns. Set aside. 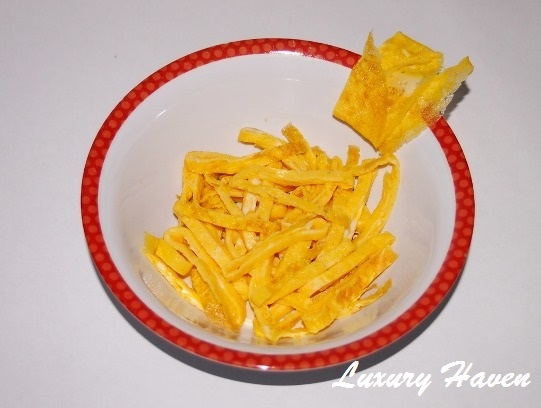 Dice salted egg-yolks. 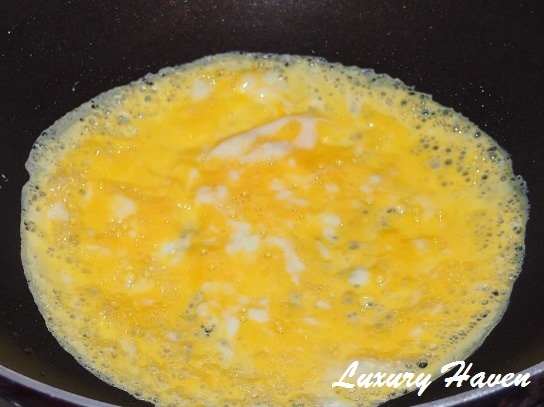 You can buy just the yolks from the egg stall if you don’t like the whites. About 50 cents a yolk. Rinse & dice chicken. 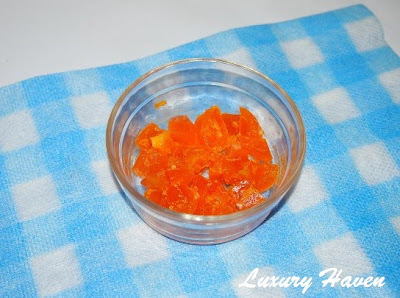 Marinate for about 15 mins. 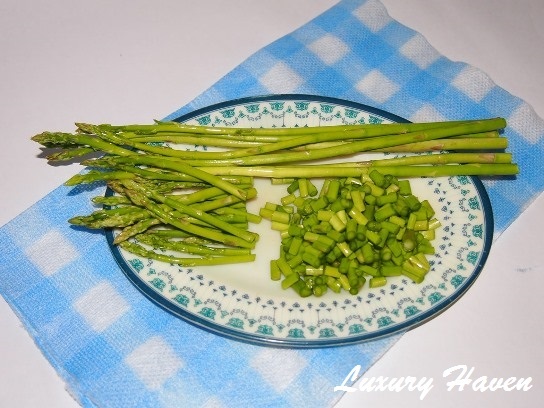 Cut off ends of asparagus. Rinse & cut into your preference length. Keep the tips for presentation. Heat wok & add tinge of oil. Whisk egg & cook into a thin omelette. Add pinch of salt (optional). I like mine to have some whites showing, but whisk it well if you prefer otherwise. When cool, fold it into 3 parts. Remove ends & cut into stripes & set aside. 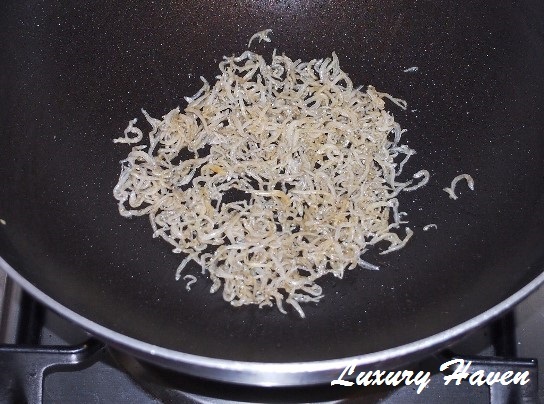 Heat about 1 tsp of oil & fry silver fish till crispy. Drain & set aside. Heat oil & sautéed garlic. Add chicken. Fry chicken till ½ cooked. Add prawns & ½ tsp of chilli. Dish it up when prawns turn slightly pink. Mix chicken rice with chilli & ginger. Heat wok & throw in rice. Add a bit of water if it’s too dry. 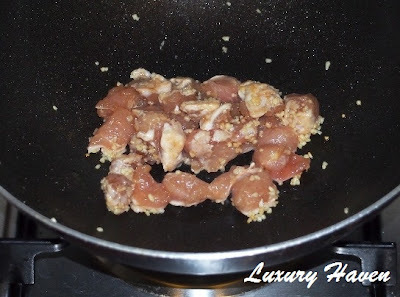 Add chicken mixture, silver fish, asparagus, salted eggs & mix well. Keep some of the silver fish for topping. 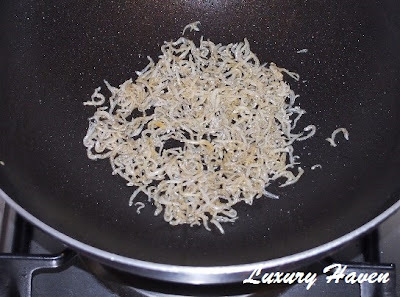 Crack an egg onto rice & stir fry till fragrant. So, what do you think of my #AFC placemat? I got this from one of my #DBSMasterclasses @ If Yan Can Cook, So Can You! It was so much fun meeting my childhood idol at the event. If you’re really, really, really too busy to cook; or really, really, really too lazy to prepare, hop over to my Vesak Day Giveaway to Win Food Vouchers by foodpanda!! to celebrate Eat With Your Family Day! 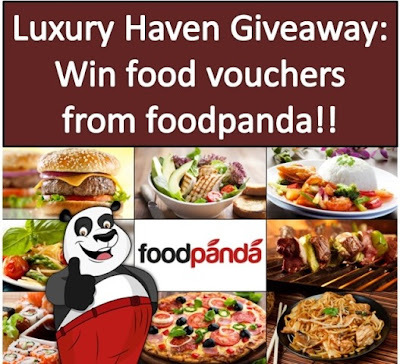 Contests closes 6 Jun 2013, so get creative to win these vouchers to have restaurant food delivered right to your doorstep! Good luck! I cook every single day for my family and try to eat together at least 4-5 times. I have kept Friday night is our family day(night) and we try to spend time together as much as we can. Its good that May 31st is Friday. I'll remember you on that day and make fried rice your way. Bal, kudos to u on being an excellent example! Thks dear, for being so supportive! Eric, thks & have a good week ahead! Uru, thks so much for the support! Beena, thks & have a good week ahead! Liz, u don't need a Loy Kee outlet; just anything chicken rice stall will do. It may be tough to find in the US, but I'm sure Chinatown will have something like that. 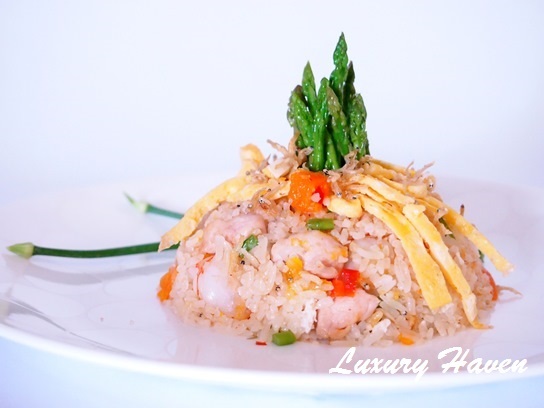 this dish reminds me of Din Tai Fung's Fried Rice with Shrimps & Egg!! Kim, kudos to the people behind these initiatives indeed! I'm seeing your lovely profile pix finally, dear! 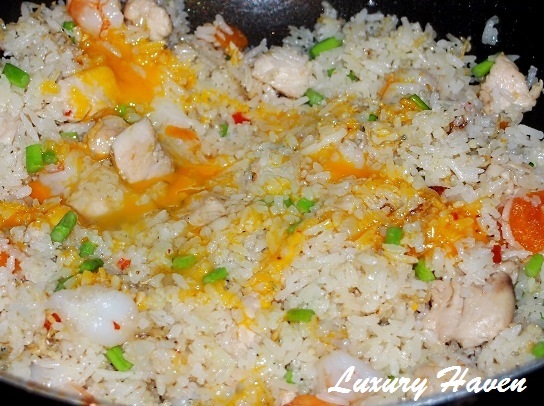 Great idea of using chicken rice as a base for fried rice. Makes it all the more fragrant. Amy, hahaha! Thks, dear! It's simple, right?? 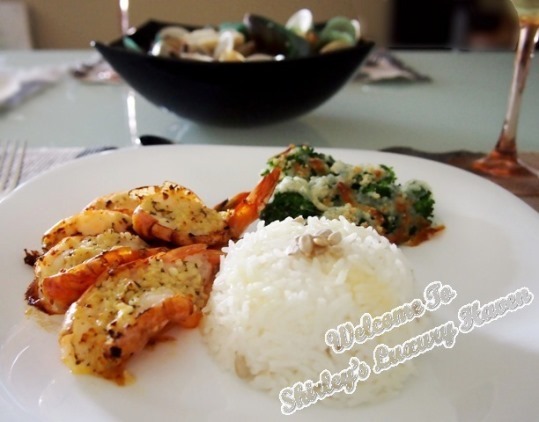 Hi Shirley, normally I will steam the leftover homecook chicken rice the next day but never cross my mind of frying it. 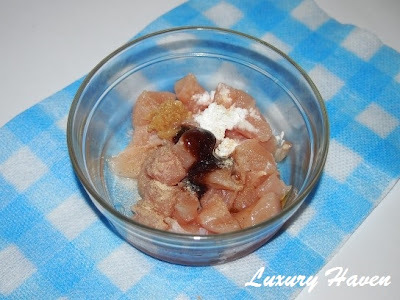 Umm, thanks for sharing this wonderful recipe. That dish looks like a great, quick, and easy dinner! Eat with your family day is a wonderful idea! It is so important for families to eat together as much as possible. Laura, thks for sharing your thoughts! U have a wonderful week! 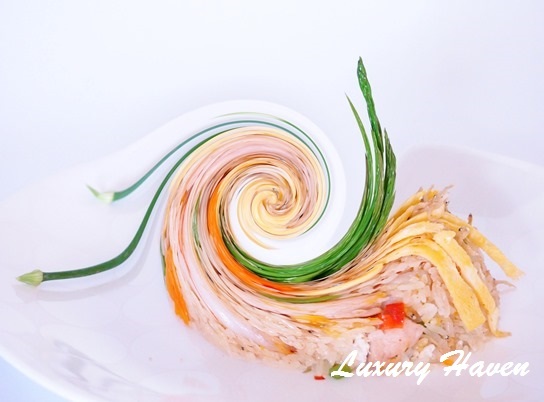 My kind of food, from the ingredients and to the plating style. Of course the taste with the salted eggs is so good. Nava, u like salted eggs too? Wow, I'm impressed! Great idea, Shirley! I bet that takes the fried rice to another level. Azlin, thks for the lovely note! What a simple and delicious meal to enjoy with the family. :) Yes, we should all celebrate eating with our family. Thanks for the reminder. Amy, Happy Family Day & have fun cooking! Amelia, salted egg-yolk is very sinful but packs a punch! U're welcome anytime, dear! Pepper, I'm so sorry to hear that! Must be tough; that's why I decided to say bye-bye to full-time job!